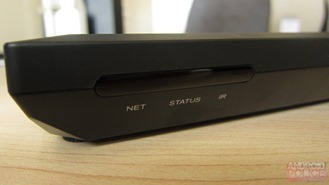 While GoogleTV still hasn't really taken off, the idea of an Android-powered set-top box is still a good one if properly executed. 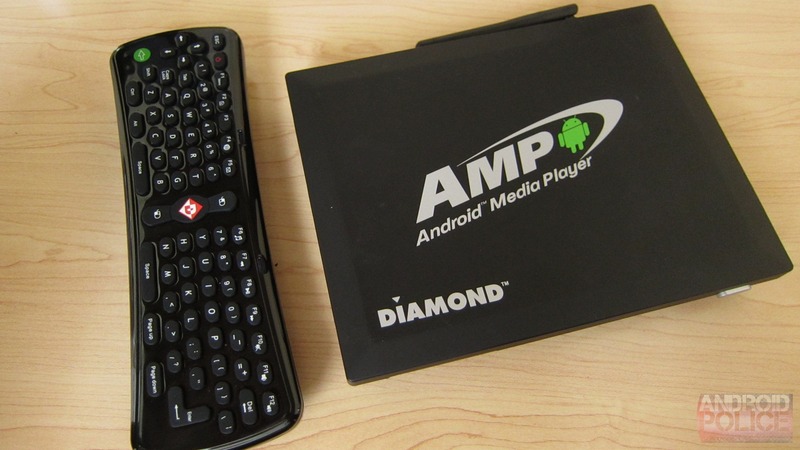 Diamond Multimedia recently tried its hand at such an execution with the AMP1000 (Android Media Player), its first venture into the Android realm. But, like with any new project attempt, there is plenty of room for failure. As we've seen so many times before, what seems like a good idea on paper can easily be a disaster in execution. While I wouldn't go as far as calling the AMP a "disaster," Diamond's attempt at an Android box is... not very good. Let's take a closer look at why, and throw around some ideas on how they could potentially make it better. While its specs may seem meager, there's not much of a need for this device to be a powerhouse, given the nature of its use. In fact, I found the AMP to perform quite well for most tasks. It always zipped around the OS without hesitation, app installation was a quick process, and it just runs very fluid overall. In this aspect, I was pretty impressed. The most disappointing things about this box is by far the inclusion of Android 2.3.4 instead of Android 4.0 (or 4.1), which would translate much better onto the large screen of a television. With that said, Diamond has already stated that they plan on updating the AMP to Android 4.0, though there's no word as to when that could happen. As it stands, the AMP is like using a giant Gingerbread phone that can't make calls. In other words: it's not the best experience. The second most disappointing aspect of the AMP is its lack of Bluetooth. I found this extremely frustrating, as a Bluetooth keyboard designed for Android would actually make a great companion to the AMP, and could drastically improve the overall experience. Honestly, I feel like the lack of Bluetooth is an inexcusable omission on Diamond's part. 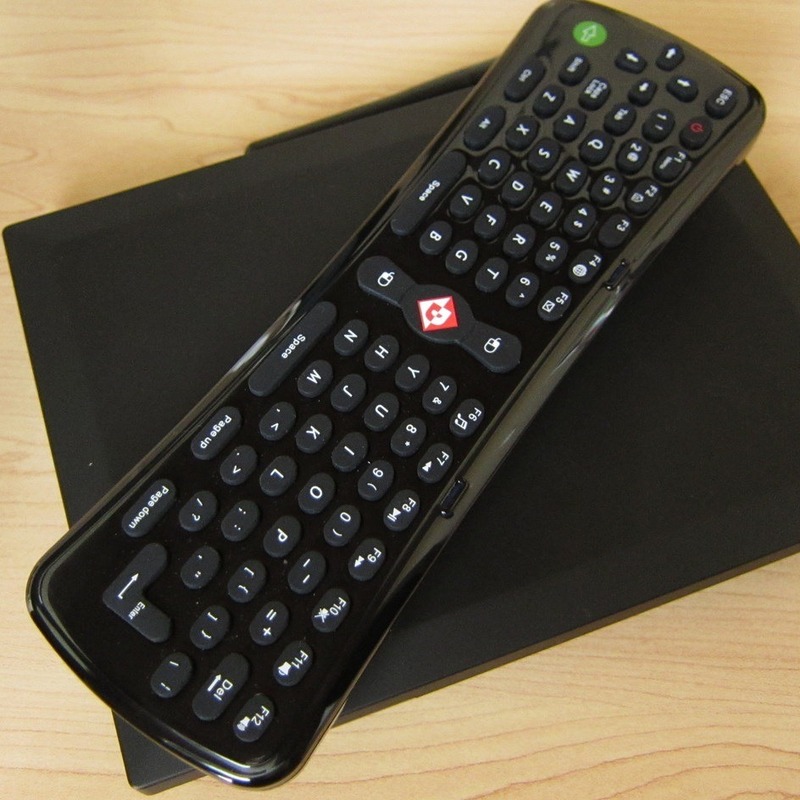 Instead of something intuitive like a Bluetooth keyboard, however, you get to use the included RF remote control, which features a built-in QWERTY keypad. 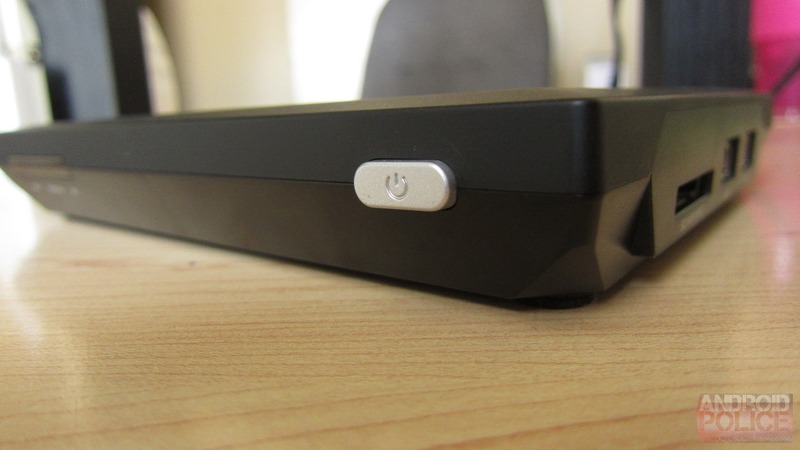 The remote itself is made of thin and flimsy plastic, which means it doesn't feel very good in the hand. And thanks to its high-gloss coating, it looks as cheap as it feels. I'm not sure why Diamond chose to use a different plastic on the remote than the box itself, but the set would've at least looked better if it matched. 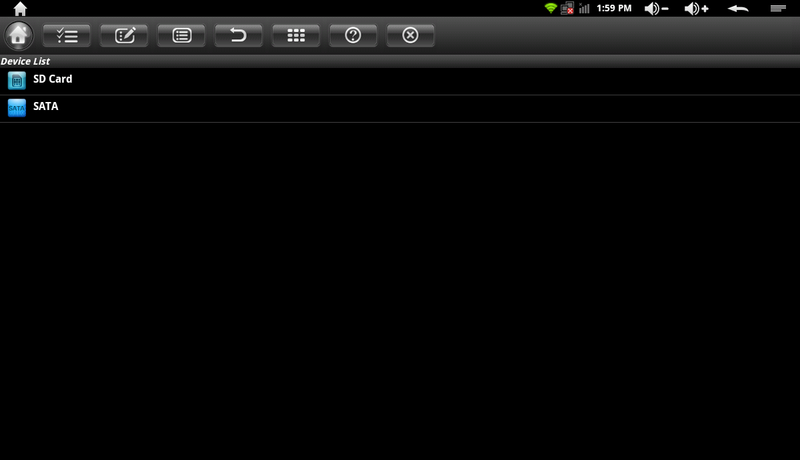 The experience with the remote is probably the most cumbersome I've ever had on Android. The center button serves as the mouse - which is how you navigate through menus and applications - and if you've ever hooked a mouse up to your Android device, you already know what the experience is like. Pair that with a device that's used like a Wiimote (read: by waving it around in the air), then you have the primary input method on the AMP1000. You double-click the middle button on the remote to activate "mouse mode" and use the appropriate button on either side to right or left click. 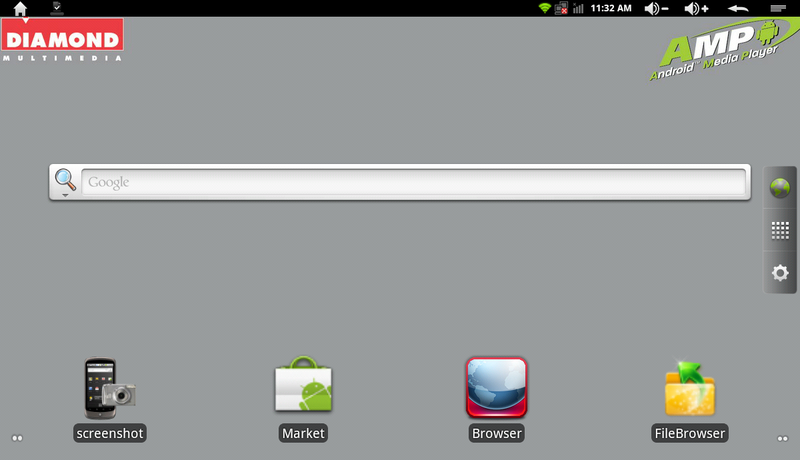 Needless to say, this is counter-intuitive to the way Android is laid out, and makes for a very frustrating experience. 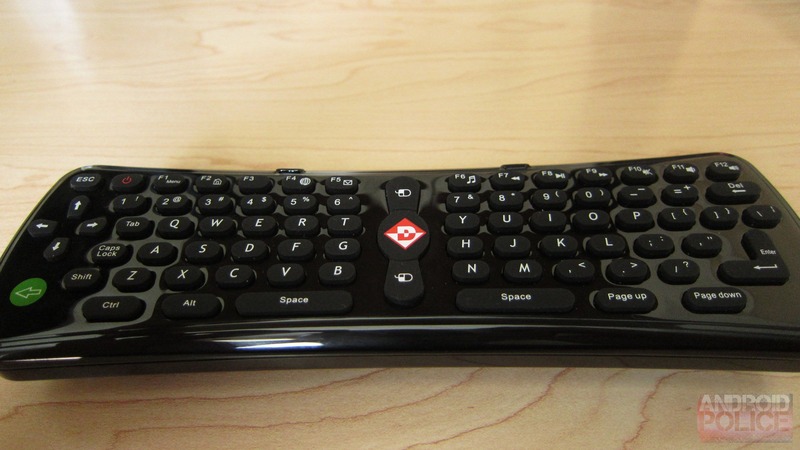 Aside from the mouse input, the remote features a QWERTY keypad for text input and some hotkeys to aid with navigation. The keypad itself is decent, though I had an issue with the unit not recognizing every keypress. For example, when searching the Market for "Dead Trigger" (to test controller support - more on that in the 'software' section below), it returned 'ead riger', even though I know I hit all the appropriate keys. To make sure it registered all keystrokes, I had to type much slower than normal. Perhaps this is due to some latency with RF, though I can't be certain of that. It's worth noting that the unit does support external keyboards and mice, so long as they're USB. 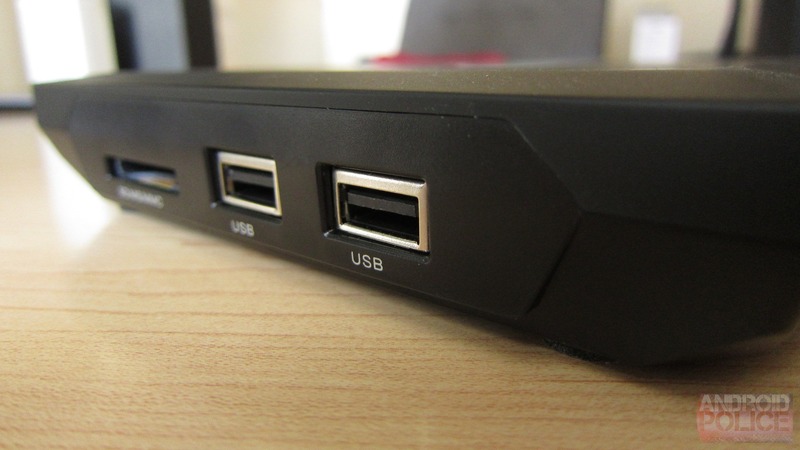 While this does "fix" the keyboard annoyance, most USB keyboards are designed for Windows or OSX, not Android. This goes back to what I said earlier - a Bluetooth keyboard designed for Android would be far more beneficial here. As I've already said, the AMP runs Android 2.3.4, which is definitely not optimal for user on a TV. It's basically the full GB experience, which includes browsing, flash playback, Netflix, YouTube, and full access to the Android Market, which has yet to be updated to the Play Store (despite the fact that the packaging features Play icons). And we're not talking about the version of the Market from just before it became the Play Store either - this thing is running v1.82. After multiple attempts to get the Market updated, I realized that it was futile. Even manually installing the APK wouldn't do it, so it's basically stuck on 1.82. 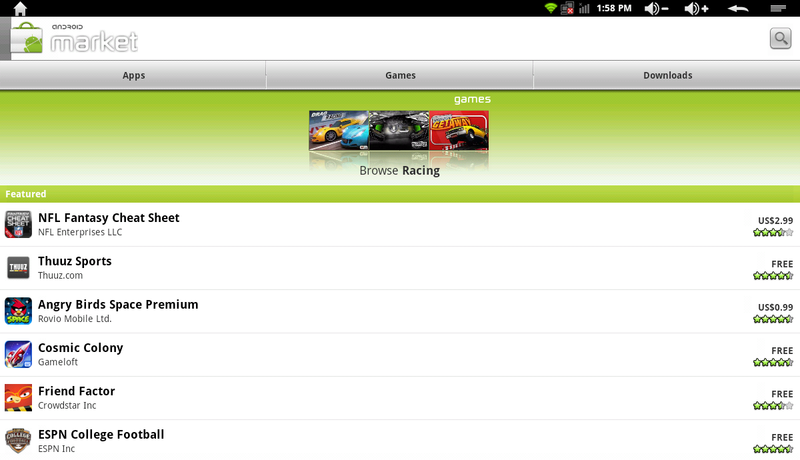 I'm sure this will update whenever the ICS update shows up, though. Far right: Oh, look! The on-screen keyboard still shows up. 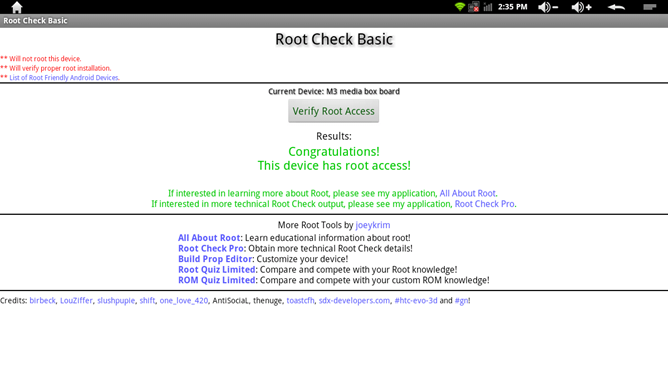 This brings me to a very interesting finding on the AMP: it ships with root access enabled out of the box. This isn't something I would actually have thought to check initially, so thanks to Brad Linder from Liliputing are due here because I found this out after reading his take on the AMP1000. While I think it's pretty neat that it's rooted out of box, I'm also slightly troubled by the fact that any application has full rein of the system. Even after installing SuperUser, it never prompted me to allow or deny applications root access. While the AMP probably won't be housing all the personal information that something like a smartphone or tablet would, I'm still wary of malicious applications being able to easily wreak havoc on the system. Other than that, it's basically just stock Gingerbread. There have been some modifications made to the notification bar that adds some basic navigations (volume +/-, back, and menu), but that's the extent of visible software modification made to the OS. Since the device has two full-size USB ports, I thought it would be perfect for playing games like Dead Trigger with a USB controller. I'm sad to say that's not the case. Since Gingerbread doesn't natively support game controllers, neither does the AMP1000. In my opinion that kills what could've been one of the most redeeming features of this unit; the ability to play games that have controller support (Dead Trigger, Shadowgun, Riptide, etc.) on the big screen of the TV would have been incredible. 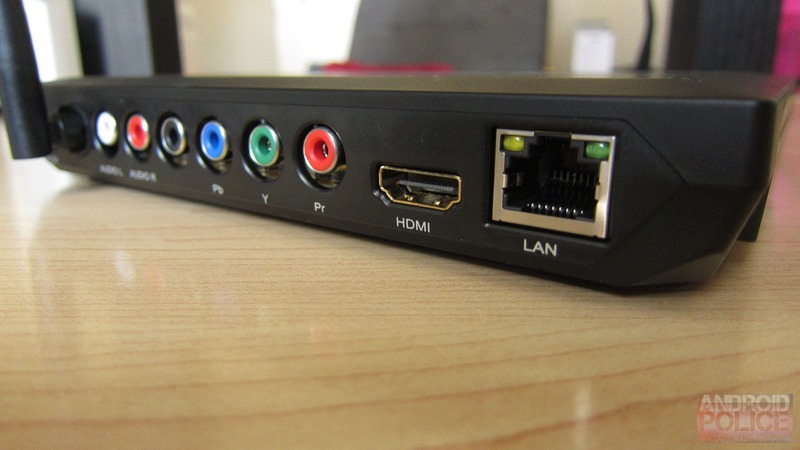 Sure, one could always just hook a tablet up to the TV via HDMI and play away, but the ability to do this on a box that's always connected to the TV would be far more convenient (which is why I love the idea of Ouya so much). This will likely change with the ICS update, since Android 4.0 has controller support baked in, but I won't be able to say for sure until I get my hands on the update and check. There are a few key things that the AMP is actually pretty good for, like watching movies stored on an SD card or USB drive. It comes with a built-in file manager, so access the SD's contents is simple, and the video playback is surprisingly good. Since the AMP has HDMI out, it is capable of playing video back at full 1080p, which is a major plus. The Diamond Multimedia AMP1000 is, simply put, a device that turns your TV into a giant Gingerbread device. Compared to Ice Cream Sandwich or Jelly bean, Gingerbread provides a less-than-ideal experience, and this is only enhanced by throwing it on an HD non-touch display. I assume the AMP will be drastically improved once it has Android 4.0, but I can't review a product based on what it will be in the future, only on what it is at this current time. And right now, the AMP just isn't very good. While it may be decent for things like watching movies from an SD card or USB drive, that's really the extent of its usefulness at this time. The lack of controller support makes it a bust for games, the cumbersome remote is not very pleasant to use, and Gingerbread on the big screen can only be described as awful. Ergo, it's not only difficult, but nearly impossible to justify its $100+ price tag. I'll gladly revisit this product once the ICS update is live, but at this point, I just can't recommend it in good conscience.